#byebyefastfashion – that’s the motto of fair fashion label JAN ’N JUNE. 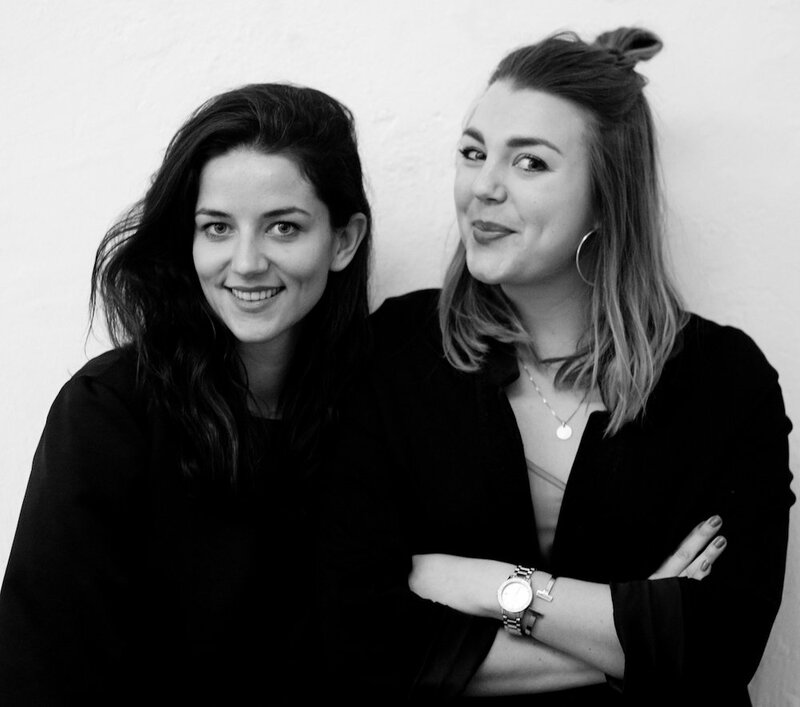 Since 2014 Anna and Jula, the founders of JAN ’N JUNE, have been selling sustainable fashion that’s fun to wear, great in price and very stylish. And they show: Sustainability doesn’t actually have to be difficult. Where do you put the line between slow and fast fashion? Anna: For us, slow fashion is a big part of sustainable fashion. If you want to separate fast from slow fashion, you need to look at the way you’re consuming. Fast fashion means binge shopping. It’s cheap, so you buy more clothes than you could ever wear. Items you don’t even like. You think: „Oh, it’s just two bucks, let’s just get this one as well“. Slow fashion means the opposite. It means: Buy items that have the potential to become favourites, that go with everything, that you really really love. Shop more consciously! Jula: Consider: Does this item mean something to me, am I actually going to wear it? There’s a huge gap between thinking a piece of clothing is cool and finding something that actually suits you and fits your style. And of course sustainability plays a big role: How long is this new item going to last? How friendly is the manufacturing process — to the earth, nature and the people? When did you start thinking about the way you buy your clothes? Anna: Our awareness for sustainable fashion started growing while we were studying. We both studied fashion. That means that we got confronted with how dirty the industry actually is again and again. Jula: I’ll never forget one of my internships — I went to a production agency in Indonesia. My time there showed me, that clothes aren’t worth anything in conventional fashion. As soon as one item is finished, it gets thrown on the floor. It might be sold for 30 or 300 Euros, at the factory there’s no difference. You shouldn’t cherish the illusion that clothes that are more expensive are actually better. You’re just paying for the label. How do you feel, when you see people packed with shopping bags from Primark or other high fashion labels? Anna: Sometimes I think: „Oh man“. But I don’t feel that girls shopping at Primark are a personal affront to me. The problem is that you can’t really buy fair fashion labels in high street shops. We’re a tiny niche. The consumer has to put a lot of time and energy into finding sustainable labels — an effort not many people are willing to make. What’s your strategy to reach new customers? Jula: We want to provide options to people. Switching from fast to fair fashion has to be as easy as possible. It doesn’t work using horrible pictures or accusations — everybody knows that a lot of things go wrong in the fashion industry. That’s why we want to make fair fashion accessible to everyone. We want people to buy our products because they really like them. Not solely because they’ve been produced sustainably. Our clothes are supposed to be favourites that you can wear year after year. That’s why it’s one of our main goals to be sold in conventional stores and boutiques as well. Anna: We are reaching them with great design and quality as well. We just want to build a great brand image. It should be fun to visit our online store, see what’s new. You’re supposed to notice that it’s all about fashion. Nobody has to make a complete U-turn. It’s unrealistic to demand all or nothing in terms of buying sustainably. Every item you buy that has been produced in an ethical way makes a difference. Is there a label that makes you think: They are doing it exactly right? Jula (laughing): Yes, The Reformation. They talk about sustainability in a really hip and relevant way. The style of their clothes is completely different to ours, but their message is really cool. If you could talk to the CEO of H&M or Inditex (e.g. Zara) tomorrow, what would you talk about? Jula: I think that would be different for H&M and Inditex. I would almost lecture Inditex because they are basically ignoring sustainabilty. Whatever they are doing in that area — they could easily stop because it’s so irrelevant. How is it possible to keep sustainability so completely out of your business strategy? With H&M, I would ask how serious they actually take sustainability. The other day, I was looking at a piece from their Conscious Collection, a chiffon top. Well, 30 percent of that top had been made from recycled polyester. If you’re not familiar with the topic, you might think: „30 percent, that’s great!“ It’s actually incredibly easy to recycle polyester though, so why isn’t the whole piece made from recycled material? Especially a big company like H&M that shouldn’t be a problem. Anna: Or if you have a piece that says: „Made from organic cotton.“ Oftentimes, only half of these pieces are actually made of cotton – maybe 25 percent of them are organic. And that’s only the material, it might still be manufactured under horrific working conditions. Jula: Still, it’s really interesting to look at what H&M is doing. For instance, the way they advertise their green collections is really good. That’s why a lot of people claim their campaigns are greenwashing by the way. I think it’s great that they are making the topic relevant to people. H&M gives people the push to start thinking about the way they consume. That’s better than Inditex — a company that doesn’t even talk about sustainability. What’s next for JAN ’N JUNE? Anna: There are a lot of new projects we are thinking about. We would love to have our own Men’s Collection. And maybe home wear, sports wear, even some brick and mortar shops! We’re really excited to see how society will change in the next few years. How many clothes will we have? People today move all the time, they don’t even want to own a lot of things. Lots of things are going to change I’m sure. And I’m really excited to be a part of that change. Thank you guys for the interview! If you want to check out JAN ’N JUNE’s current collection you can find it here. Picture of Anna and Jula: Chérie Birkner. Pictures of the collection: Michael Rüttger.